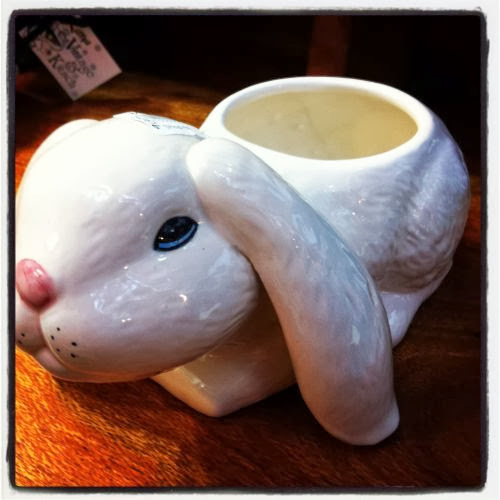 I've been getting busy on Instagram again- I see, have, buy & sell so much cool stuff, I'd be rude not to share the pics! 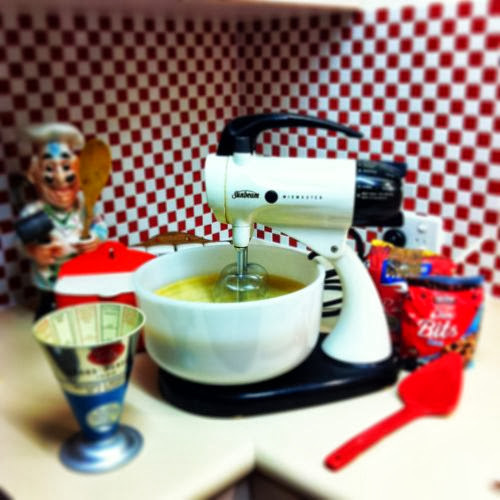 Baking with my vintage Sunbeam mixmaster. 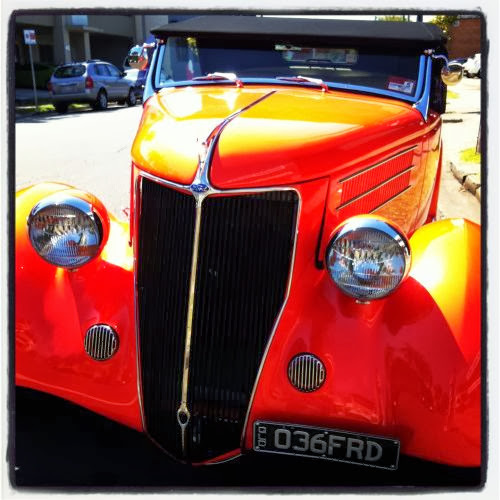 Fab car I spotted out the front of the WAC. 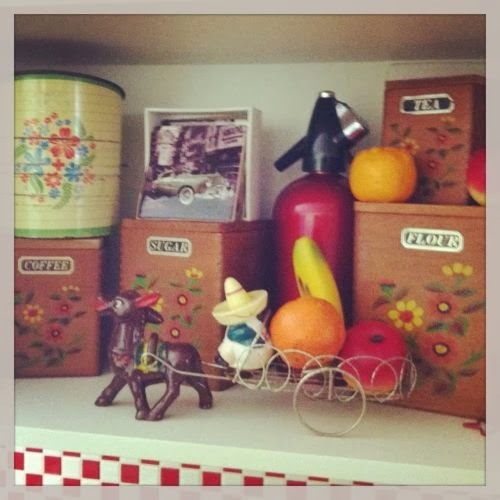 A new vignette for my kitchen. Microwave spaces are so handy like that. 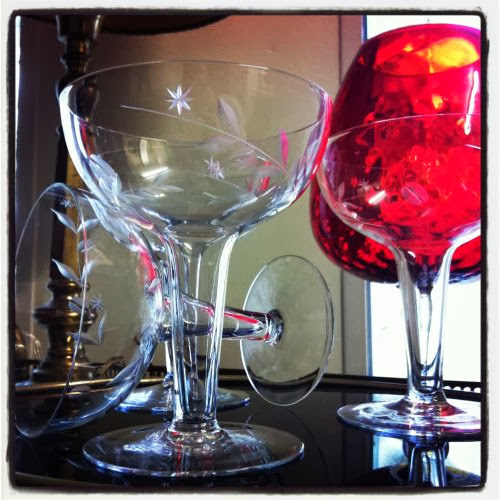 Set of 1950s etched crystal hollow-stemmed champagne saucers, my latest favourite (personal) find. 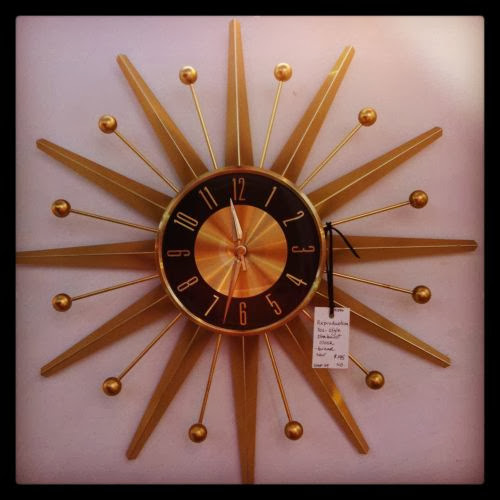 Brushed aluminium starburst 50s style clock. Sylvac cat, rescued from a garden pot in an old ladys' house last week. 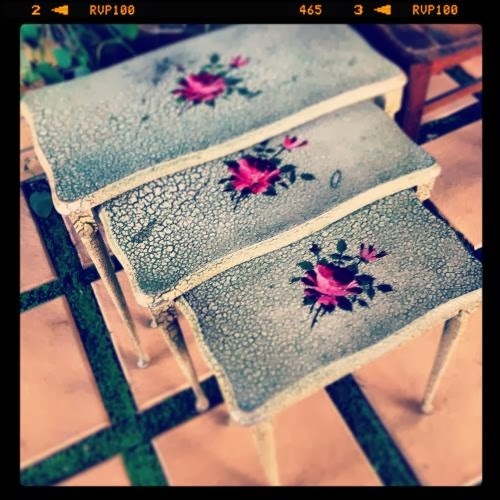 Shabby-style girly nested table set. 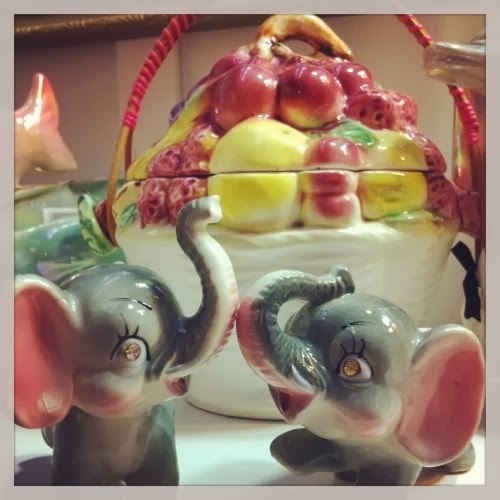 Kitsch biscuit barrell and elephant salt & pepper set- check out the rhinestone eyes! You know I follow you. 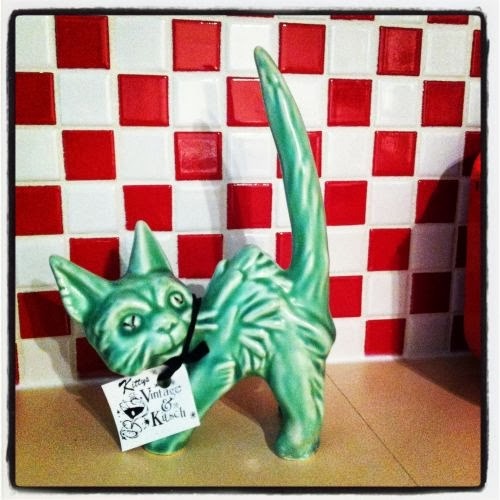 How did I miss the cat, it's pose is rather hilarious. I long for a mixmaster but more a star burst clock.....trying to stay strong for a teak one. I totally missed the elephants eyes. I'm rather partial to elephants......well more than partial if you commit to them being tattooed on your body I'd say. The clock the clock the cloooock! I used to hate the star burst style clocks, but the older I get the more I appreciate them. Now I wouldn't mind having one in my home!